Hump Day: When in dinner party doubt, don’t freak out – think fricot! My kitchen is gross and outdated. I wrote about that a few weeks ago. I’m currently in the process of getting prices and deciding in which direction to go. What I’ve discovered so far is that I’m going to have to sell a kidney on the black market in order to pay for it. As many have told me – and as I’m now discovering for myself – kitchens aren’t cheap! And if you’re going to make the investment, then you might as well go all out! I’ve been thinking a lot about my kitchen lately because – even though I know it’s as outdated as actually having to get up and manually turn the channel on your TV – I’ve realized that it can still be a place to bring friends together for great meals, lively conversation and lots of laughs. Despite my kitchen’s warts, I’ve made a conscience decision to start enjoying it by inviting people over again for supper. Um, well by ‘again’ I don’t want to leave you with the impression that I somehow fell out of the habit of having people over. I never really got into the habit, actually. I bought the house in 2001 and I don’t think the number of times I’ve had people sitting down for a meal at my kitchen table has even hit the double digits yet. Yeah, 14 years in one house and I’ve had people over for a meal less than 10 times. Let’s just say that my phone isn’t exactly ringing off the hook from Martha Stewart looking for advice on entertaining guests. To be fair to my poor deserted dining room, I’ve had a few blowout parties at the house, but that was years ago. My place is more like a convent these days than party central. That said, I think the dining room table has been awash in empty liquor bottles from those parties more often than it’s been surrounded by friends sharing a meal. That needed to change, so a few weeks ago I hosted my first dinner party in years. I invited a few friends over and decided to splurge. I spent a small fortune and made seafood casserole from my Cy’s Seafood Restaurant recipe booklet (enter the word Cy’s in the search box on my website at briancormier.com and you’ll find it), made a sinfully good appetizer (baked brie with Kahlua and pecans) and a to-die-for lemon cheesecake to round things out. At the end of it, no one could move. We were stuffed. 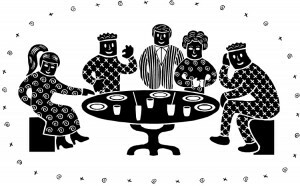 The dinner conversation among friends that night was loud, boisterous – and at times hilariously inappropriate and profane, like all good meals with friends should be. I hope no one bugged my house because some of the stuff said that night will surely come back to haunt us all. We sat, talked, and talked some more. With our dessert, we drank coffee – way too late at night for most of us. I’m sure a few didn’t get to sleep until much later. All’s fun in dinner and laughter, but in the end, someone must clean up. By the time the last person walked out the door, it was 11:15 p.m. I was completely exhausted from entertaining. I wasn’t used to this. It’s a lot of work! I had a newfound appreciation for those who have invited me over to their homes on many occasions for meals, especially my mother during holidays such as Easter, Thanksgiving and Christmas. I thought of my grandmothers who raised nine children each. That’s a lot of cooking three times per day. Heck, I was ready for a vacation after a dinner for only four! As soon as the last person left, I crashed on the sofa. I couldn’t move. I was spent. Finished. Then I turned my head and saw the dirty pile of dishes and knew I had a bit of work do to before heading to bed. I turned on the radio and tackled the mess in three spurts of energy. Within 45 minutes, the kitchen was clean and everything was put away. It didn’t take long. Over the weekend, I had more friends over, this time for an Acadian feast of chicken fricot, poutines râpées and râpeé (chiard). I cheated a bit on the poutines and bought those, but the rest was made from scratch – all in that outdated kitchen I say I hate so much. I’m starting to feel, though, like my kitchen is like Charlie Brown’s Christmas tree. Because once you surround it with good food and friends, it’s not such a bad little kitchen. 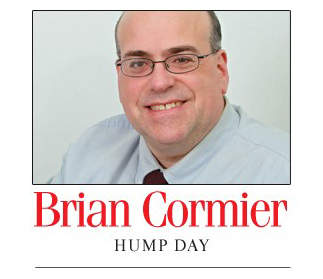 The Feb. 23 to March 1, 2015, edition of Brian Cormier’s Weekly Update is out! Have you ever had one of those weeks when you start questioning your sanity? Last week was mine. Actually, I was pretty sure the time had finally come to check into a seniors’ home, set myself up in a nice comfy rocking chair and wait for the angelic beings with wings to tell me to walk toward the light. I received a very nice electric razor for Christmas as a gift from my mother. Having gouged myself a number of times while shaving at the speed of light with a regular razor, I decided the time had come to switch back to an electric one. Previous attempts years ago had left my face pretty much minus one entire layer of skin. It wasn’t pretty. It looked like I’d had one of those expensive chemical peels the rich people get to make their faces look younger. Those words are repeated a lot in my family these days since we’re long past when surprises were a big deal. The electric shaver works fine and doesn’t irritate my skin at all. I like it very much. I can shave while watching television or surfing the Internet. I don’t have to be standing in front of the bathroom mirror shielding my jugular from a razor blade, at least. I have a meeting every Tuesday at 7:15 a.m. Yes, you read that right. 7:15 a.m. Bright and early. In the dead of a chilly winter, it’s a brutal wake-up call. 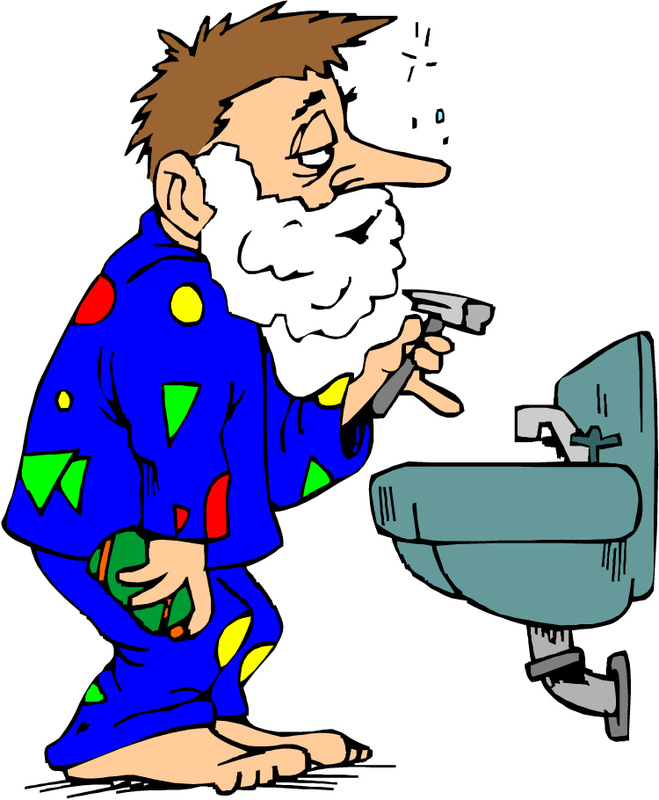 Last Tuesday, I decided that I just didn’t have time to commit to five minutes of the whirring electric shaver. I’d just do a quick job with the regular razor. Everything seemed to go well. I shaved and got cleaned up. I reached up to my ear and my hand came back looking like I’d dipped it in bucket of red paint. I’d nicked my earlobe while shaving and hadn’t noticed. Blood was dripping on my shirt. My coat collar was full of it, too. I looked like a walking advertisement for a beef slaughterhouse. No big deal, I thought. I’ll just apply some pressure with some tissues and it will stop. How serious could it be? It’s just a stupid earlobe. Well, after trying to chair the meeting while holding a wad of tissues to my ear, it became quite apparent that I was losing the battle. Imagine trying to eat breakfast while the chair of the meeting is holding tissues to his ear that are becoming redder by the minute. Eventually, I caved in and abruptly passed the gavel to someone else and sped home to where my trusty styptic pencil was. Those little miracle workers do wonders on nicks. Hold the pencil on the nick, wince from the sting and the cut stops bleeding. So much for my brilliant idea of saving time with the regular razor. Then, on Wednesday, I got all gussied up for an event at noon. Shirt and tie. Blazer. Business cards. I hopped in the car and drove 10 kilometres to the location and was shocked that the parking lot was empty. I went inside and nothing was set up. I thought, “Wow, they’re cutting things close!” I was even 10 minutes late. Eventually, I figured that I must be at the wrong location. I checked. I wasn’t. It’s 11 a.m. It’s the 11th. I’m at the right location. The right room. This doesn’t make any sense. Yup, it was the 11th alright. February 11. It’s just too bad the event was on March 11. I think I’ll go curl up with the groundhog who predicted six more weeks of winter. Clearly, I need more sleep. I hope he doesn’t snore. The Feb. 16-22, 2015, edition of Brian Cormier’s Weekly Update is out! 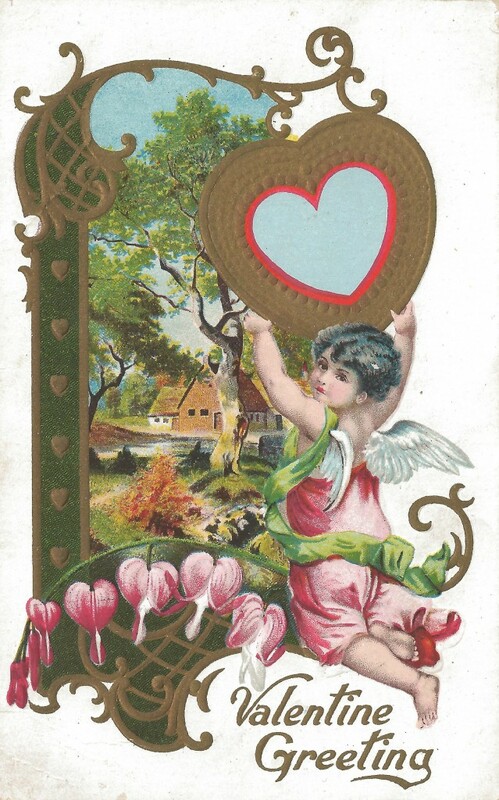 A scan of a Valentine’s Day postcard from my maternal grandmother Rose Pineau’s collection from the early 1900s.